Balasticman: Oh Superman, where are you now? 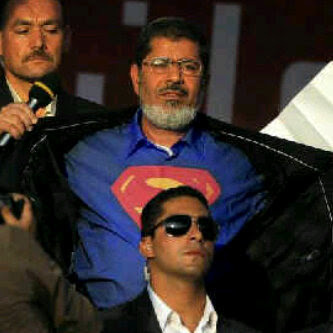 Oh Superman, where are you now? Egypt today seems lost and rudderless. The country is being pulled apart by conflict, both real and virtual. 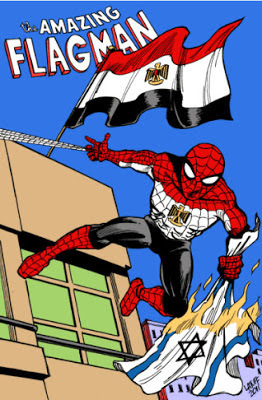 Notwithstanding the delusion of misplaced trust in the wimpy superhereos of the country's modern past (even if Gamal Abdel Nasser and his proteges had notable powers of domestic destruction), Egyptians are looking for someone, anyone, who can rise above the rubble to offer some sort of inspiration and belief in a greater good. This is a space dedicated to attempting to introduce rational thought into irrational discussion, primarily related to current political, economic and social events in Egypt, the struggles of the Obama Administration and the U.S. foreign policy establishment in responding to them, plus praises for Zamalek, exposures of evil, corrupt Ahly, and cheers for the best of the rest of life, especially baseball and Italy - through our sister sites Balasticman Baseball and Balasticman Italia.